We know that integrity, values, and compassion are essential to the funeral service industry, but understanding the core of these principles and our community are the fabric of our foundation at McCoy and Harrison Funeral Home. The McCoy and Harrison family has been providing funeral and cremation services in Houston, Texas since 1925. We began and are still currently a family-owned and operated business. Providing Houston Funeral Services For Over 90 Years. Our philosophy is to provide funeral services with care and compassion. For more than ninety years our commitment and diligence has remained uncompromised, and our continued focus is on our Houston community and its families. McCoy and Harrison is an extension of our family serving families in Houston. Our mortuary staff appreciates each family entrusting us not only with their loved ones, but to carry out the funeral service in a dignified manner. Our website was created to provide comprehensive information regarding funeral services and cremations. We understand that this can be a stressful time, and this website is our initial opportunity to provide your family peace of mind and comfort now and in the future. Great men are born, not made. Innately, they are not only leaders whose lives touch and inspire others, but they are also visionaries whose childhood dreams and lofty goals eventually become reality. If they are lucky, their children follow in their footsteps; however, if they are blessed, they become legacy builders for several generations. Homer E. McCoy, Sr. was such a legacy builder. 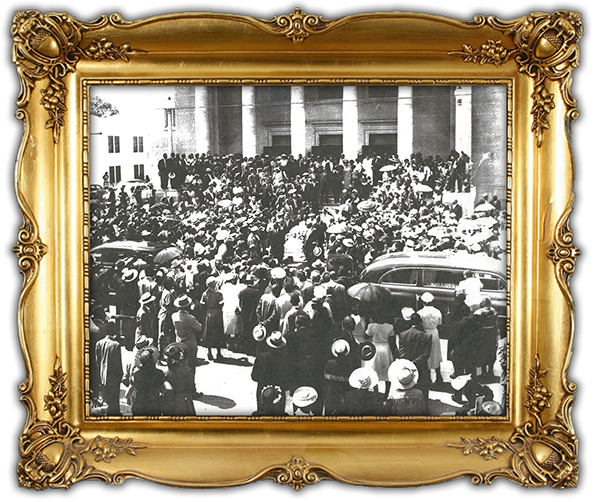 In the mid 1920’s, he sold his interest in People’s Pharmacy and he, together with his partner, founded McCoy & Harrison Funeral Home, which quickly earned distinction as a premier mortuary in the Houston Third Ward community. Renowned for its quality service and heartfelt compassion, this establishment set a stellar example of business acumen for contemporary as well as future proprietors. Upon Mr. McCoy’s death, his wife, Blanche, took over the business with the assistance of their only child. Homer E. McCoy, Jr. became the head of McCoy & Harrison Funeral Home in the 1950’s. A teacher and counselor for many years in the Houston Independent School District, he found a way to balance school and the family business. Needless to say, he was a success at multi-tasking as he continued in his father’s footsteps. To ensure that capable leadership remained in the family, he started grooming two of his daughters to fill his shoes. In the early 1970’s, his college-educated daughters took the helm of Leadership, which is still in place today. Helen McCoy Abernathy became Funeral Director in charge and Brenda McCoy Lee became Corporate Secretary. Their grandfather and father would be pleased with the success of McCoy and Harrison today. McCoy and Harrison has become one of the leading funeral homes in the Houston area and also one of the highest regarded establishments by peers in Texas. With the Lord’s favor, a fourth generation of McCoys have begun working in the family business. What a legacy for founding father, Homer E. McCoy, Sr. ! Tribute to Homer E. McCoy, Jr. The McCoy and Harrison family is lending its time to honor what we believe to be a legend not only to our funeral home but the the funeral service industry. 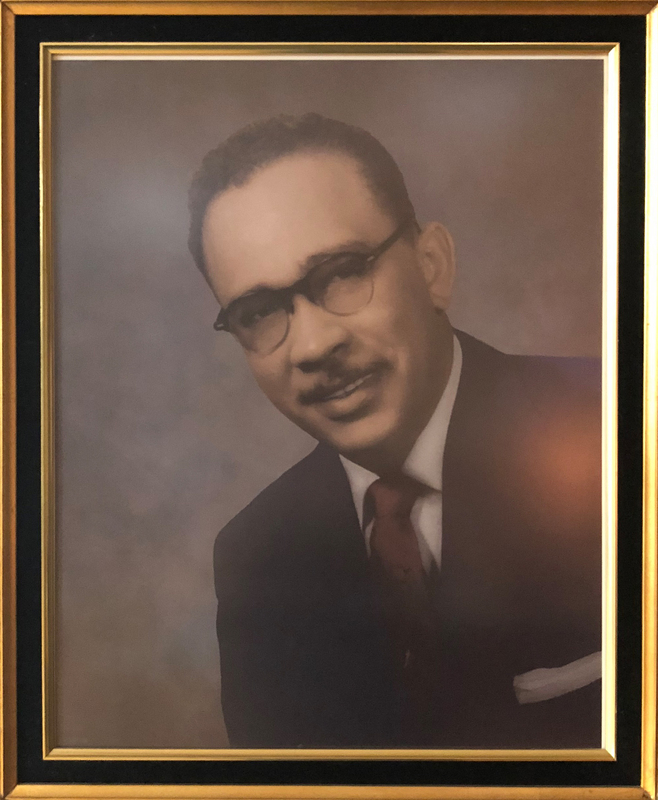 This page is dedicated to Homer E. McCoy, Jr. and here you will witness what his community felt about the passion and commitment he exuberated for over fifty years. Between his time as a math teacher and a funeral director Homer McCoy not only influenced his own family but many others around the Houston area. Here is why…. This State Flag represents many years of Texas pride. The lone star design has flown over Texas for more than 150 years, since the days when we were still an independent republic. It was designed to reflect the spirit of independence in the new republic, a spirit which remains strong today. The Texas flag is divided into three bars, a vertical blue stripe representing loyalty, a horizontal white stripe for purity, and a horizontal red stripe signifying bravery and blood of those who died in Texas’ war for independence. In the middle of the blue stripe is a single star, the star of liberty riding in Texas. Because of this special nature, I know you will display the flag with honor and dignity. 50 year Recognition Award presented to Homer E. McCoy in honor of 50 dedicated years as a licensed funeral professional in Texas presented in Austin, Texas, this 4th day of June 1996 at the Annual TFDA Convention. Presented by the Texas Peace Officers Association – (Houston Chapter) this 15th day of August, 2005 – Houston, Texas.